A while back someone asked me if I missed eating meat. All fellow vegetarians probably recognize this question. It seems to be one of those inevitable questions that you get every now and then. Since I haven’t tried it for the past 17 years, my answer is always the same: “I actually don’t even remember how it tastes. So no, I don’t miss meat. Not the least, actually”. We love vegetables. Not only eating, we love everything about them. How they grow from the earth. How they differ depending on the season. How they can vary vastly in color, shape and flavor. And how all these different colors from the different vegetables add different nutrients to our body. It all feels so natural. So obvious. This is how it is supposed to be. Vegetables should be the central part of the plate. Not just a side dish. So when you ask me if I miss meat. I should ask you; don’t you miss vegetables? 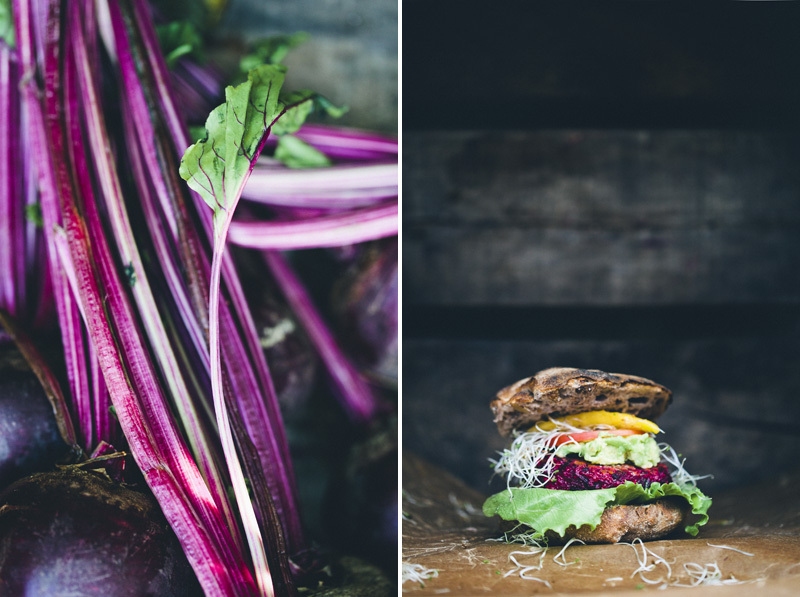 This beet burger is a great example of a vegetable focused dish. 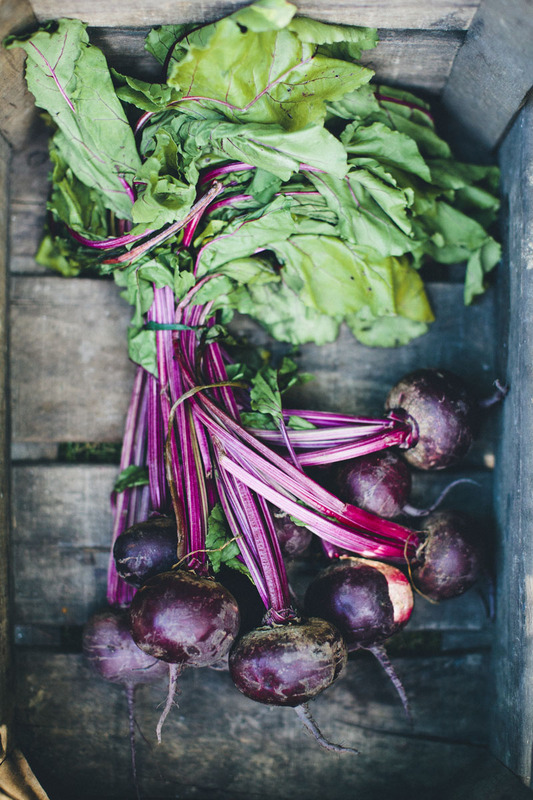 The flavor and texture of the beetroot is essential and affects everything in the burger. You could probably replace it with zucchini and carrots and it would also be awesome, but completely different. Another taste and another texture. Here we have served the burger in a dark sourdough walnut bun from our favorite bakery. But we also often wrap it up in a cabbage leaf. Or serve it between to pieces of dark danish rye. If you want a dairy free burger you can replace the feta with tofu. 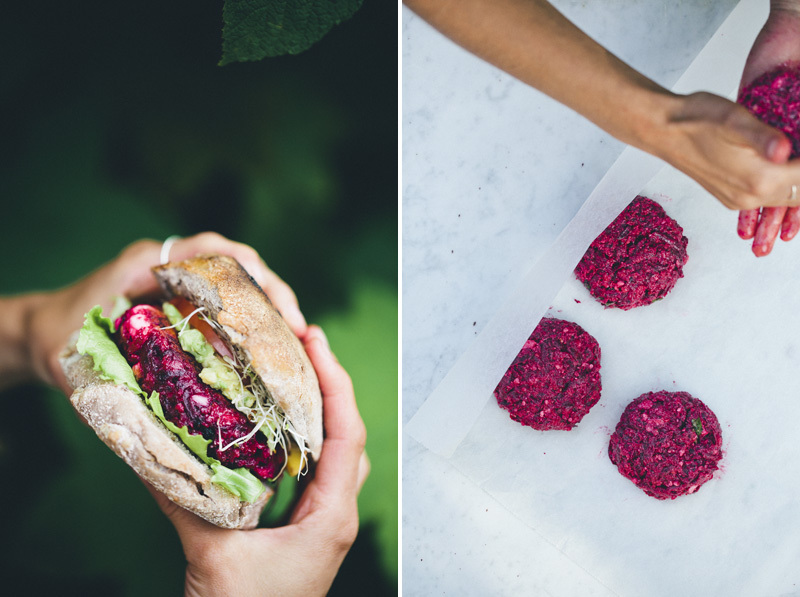 Or you could do these Beetroot & Millet Burgers that we posted waaay back. If you want an entirely vegan burger you could always make our Portobello & Peach Burgers. 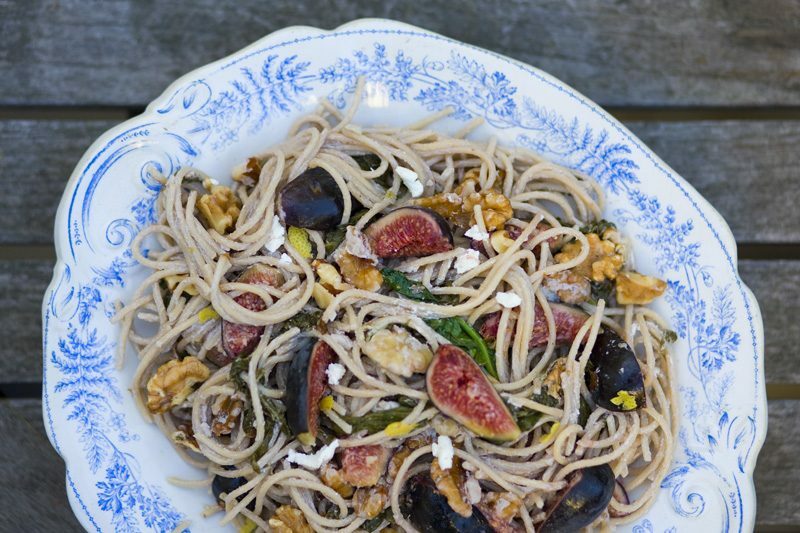 Or try this awesome recipe by Laura from The First Mess. Mimi from Slovenia. Agathe from Paris, France. Francesca from Australia. Daniel from Italy. Purvi from Mumbai, India. Arla from Amsterdam, Netherlands. Trish from Ireland. Beata from Prague. Djoeke from the Netherlands. Clare from Adelaide, Australia. Paula from Venezuela. Andreia from Portugal. Tova from Toronto, Canada. Johanna from Sweden. Erica from Los Angeles, USA. Henry from Hong Kong. Natalie from Johannesburg, South Africa. Ana-Maria from Rumania. Som from Thailand. Andrea from England. Congratulations to all of you (we’ll send you an email with the promo code really soon, hopefully tonight)! And a big thank you to everyone for participating. If you didn’t win but still want to download the book. 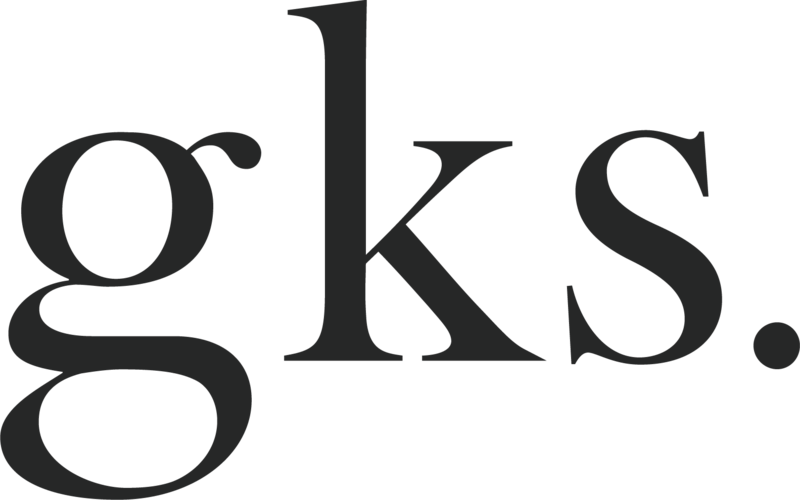 Here is a link to iBookstore. And Kindle/Amazon. Peel and grate beets, onion and garlic on a box grater or use a food processor with the grating blades attached. Place the grated vegetables in a large mixing bowl. Add olive oil, eggs and rolled oats and mix everything well. Add sheep’s cheese or tofu, basil, salt and pepper and stir to combine. Set aside for about 30 minutes, so the oats can soak up the liquid and the mixture sets (this step is important for the patties to hold together). Try shaping a patty with your hands. If the mixture is to loose, add some more oats. Form 6-8 patties with your hands. Grill the beetroot burgers a couple of minutes on each side – or fry them in a frying pan by heating a knob of coconut oil or ghee and fry until golden on both sides. 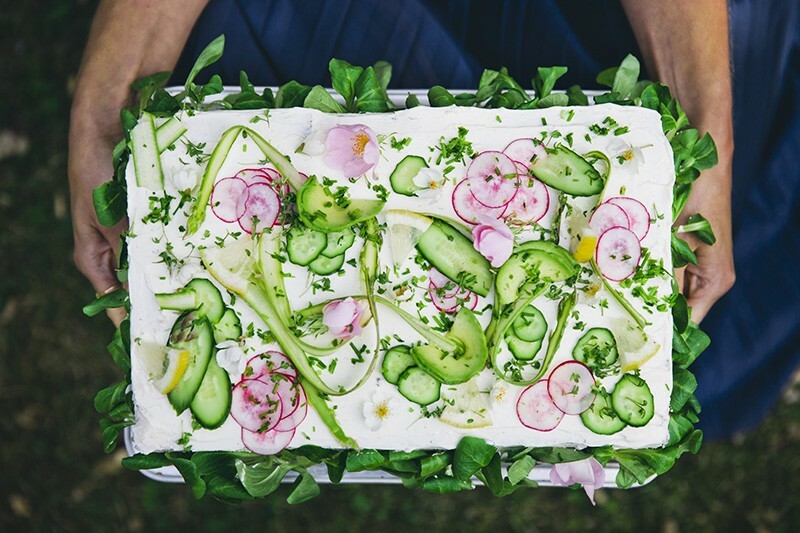 Serve with grilled sourdough bread and toppings of your choice. 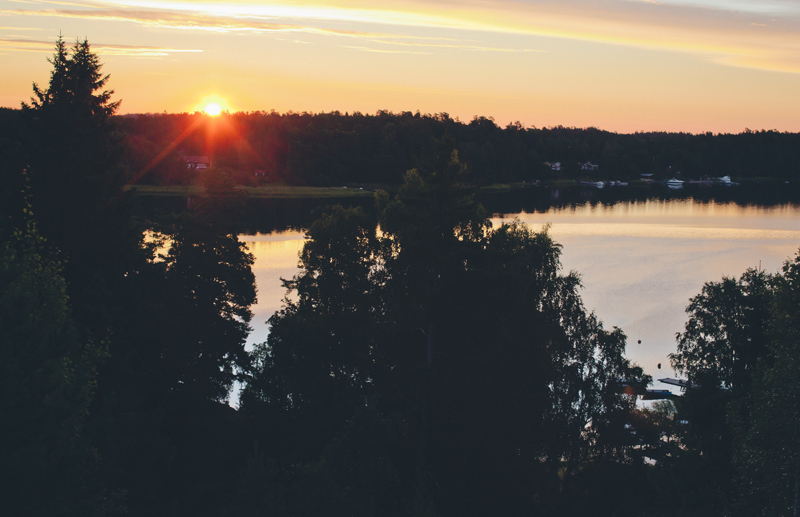 I have a question for you; have you ever had trouble keeping your haemoglobin and red blood cell levels normal? i have been a vegetarian on a off for over a year but have ended up returning to meat because i cannot keep my blood parameters up. i have focused very closely on monitoring my iron intake however i always have to eat iron tablets in the end. any tips??? hi! you should try including more green leafy vegetables like spinach in your diet. They are VERY rich in iron. These look delicious!! I can't wait to try them at my next summer BBQ. What would work instead of feta or tofu? I don't eat dairy or soya but would love to try these. Any suggestions? I am so, so, so happy to see my name among the giveaway winners. I am so in love with everything that you do - recipes, photos, lifestyle, and I just can't wait to receive my Ebook copy. Thank you very much!! Best looking burgers ever! The photos are such a treat that I don't even need to eat them. :) Miri: You should be able to replace the eggs with flax, chia seeds, or psyllium husks. Eek! This egg thing..... I still have a fairly strong physical reaction from childhood. Cannot bear yellow as it makes me feel physically sick. Also, lately, have been feeling very queay and sick just reading or talking about egg. Moving on SWIFTLY so relieved chia and flaxseed but I did not KNOW that about psyllium husk. I had been wondering if it may be a binder for veggie burgers (and a little for energy bars) as it does get pretty solid! Oh these look so lovely! 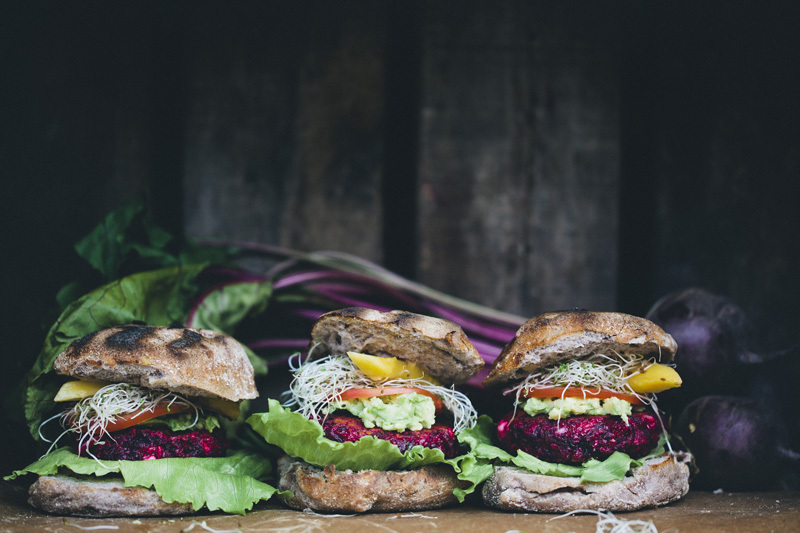 I've been meaning to make your other beet burgers but now i think i might have to make these instead... :) And by the way your photography is stunning! Have you ever thought of making a post to share your tips on food photography? Kind of like a 'behind the scenes'. I just scared the daylights out of my brother :D Thank you! This looks amazing! How would you replace the eggs for a vegan version? Flaxmeal - 1 TBSP ground flaxmeal to 3 TBSP water = 1 egg Plus, you are adding some healthy Omegas as well. Chia seeds are also an option, as well as mashed potatoes, or cooked oatmeal, so many options available for vegan substitutes. Thank you Carolina and Gloria! I'll definitely try it! I just made this with mashed potatoes replacing the eggs. I used potato flakes ("Idaho Spuds Mashed Potatoes"), mixed some with soymilk in a mug, and microwaved it for a minute. Alternately, just stick a small potato in the microwave for 7 minutes and mash it with some soymilk. These burgers are unbelievable; I'm definitely making this again! I just fell out of my chair. OMGGGG. i agree! veggies should be the star of the plate! not the fancy meat, pasta or bread!!!! This looks amazing, I'm making this for dinner tonight! Wow that's great! :) Thank you! 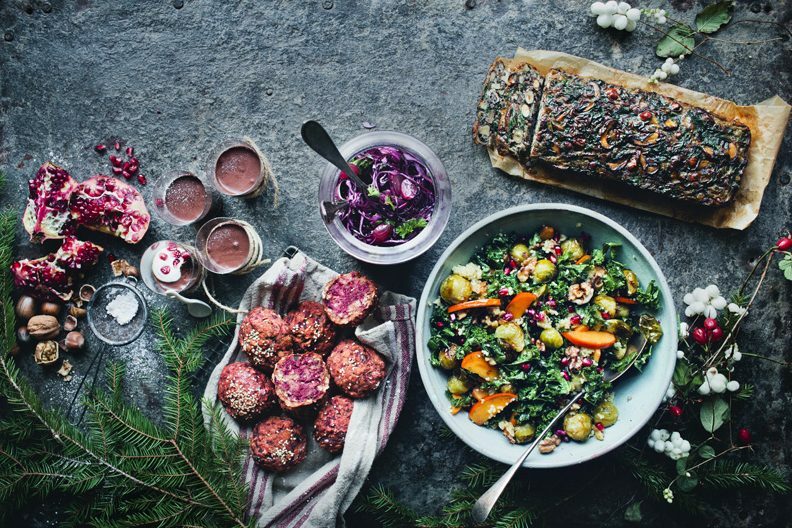 The beet burgers look amazing, I'm going to try them soon. These look incredible. More beautiful than any burger I've seen, meat or otherwise. Gorgeous. Beet-based burgers are always my favorite! SO sweet and juicy! I can't wait to try this. 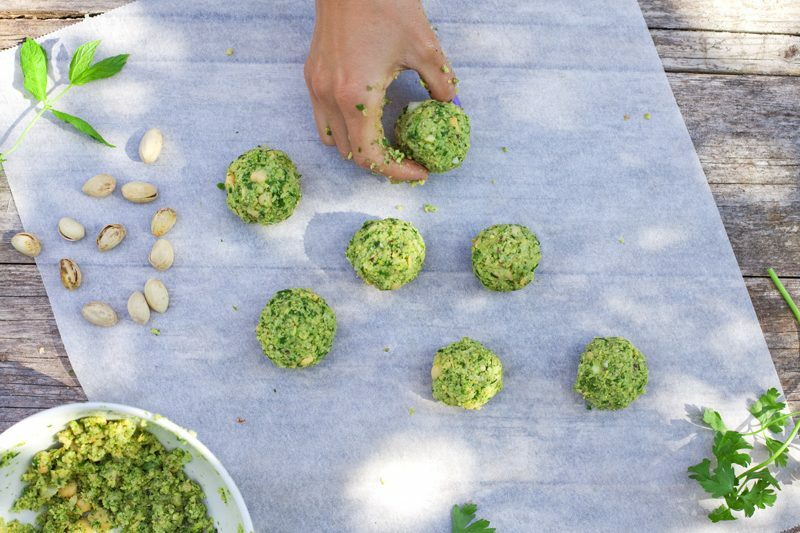 One can never have too many veggie burger recipes!